Great product at great price. The product is great quality and great price! 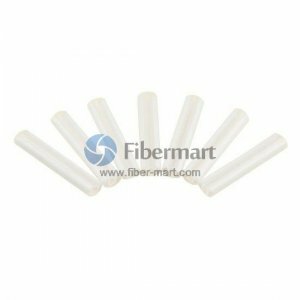 Fiber Splice Heat Shrink Tube is ordinarily made of nylon or polyolefin. They provide good electrical insulation, protection from dust, solvents and other foreign materials, as well as strain relief. If overheated, heat shrink tubing can melt, scorch or catch fire like any other plastic. Fiber-Mart supply colorized heat shrink tube, and they can make the joint of terminal block and wire insulated with very good flame retardation. All our heat shrink tube shows good performance with good prices, and we can deliver anywhere.